There are 120 questions on the MAT, giving you about 30 seconds for each question. It’s a quick pace, but there are ways to improve your MAT speed so that you’re prepared for test day. One mistake you don’t want to make is not practicing on enough questions. It can be easy to get sidetracked studying flashcards, reading term lists, or any of the other things you have to do to build your subject knowledge. All of the aforementioned are important, but you also need A LOT of practice with actual MAT questions. Any student looking to thoroughly prepare should go through roughly 600+ questions during 1-2 months of study. If you’re not sure what resources to use, see our blog on MAT vocab resources. 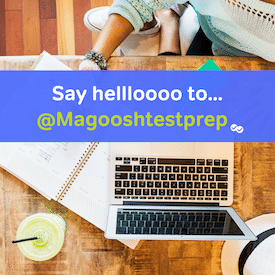 The strategies in our blog on how to answer MAT questions and in the MAT Official Guide should be mastered by test day. The only way to do that is to practice them frequently. Sometimes students, in an effort to save time, only use the strategies once they feel stumped. This is, first, a waste of precious time. Second, it means you’re not getting as much practice with the strategies as you could be. Instead, commit to the strategies. If you apply good strategy on every one of those 600+ questions, you will be leaps and bounds faster on test day (and you’ll make fewer mistakes!). Perhaps, the most important reason to be quick on the MAT is that the exam allows you to skip back and forth without penalty! This is a huge benefit strategically, but it only helps people who have good pacing. Developing good pacing requires you get used to making rapid decisions about whether to answer a question or to save it for later. This is harder than it sounds. It takes a lot of experience on practice tests to help students overcome this common pitfall: students tend to get stuck on hard questions, refusing to move on until they solve it. You must practice under time constraints. It’s the only way to be truly ready for test day. This applies in particular to practice tests. Do not give yourself more time than you will have on test day. You should practice under realistic time constraints on every practice test you take from the beginning. Alright, that should get you well on your way to speeding through the MAT. Ready, set, study!